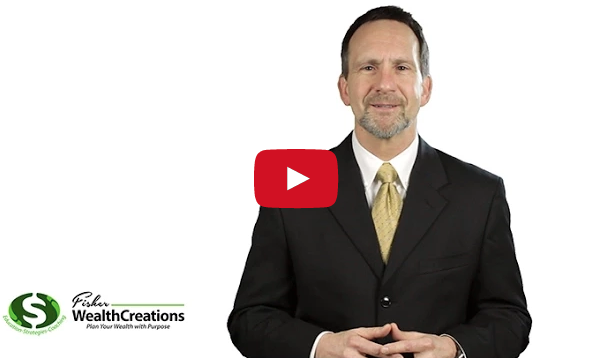 In this two part series, Jim explains the final 3 pillars that are critical if you want to create wealth for yourself and perpetuate it forward. Today is the second part of my 2 part series. I want to lay the foundation for creating generational wealth. That’s wealth that not only provides for yourself, but continues on to provide opportunities for others. Proverbs 13:22 states: “A good man leaves an inheritance to his children’s children.” Stay tuned to learn my six pillars needed to create perpetual generational wealth. First: Allocate and place your money mentally and physically in separate jars or money tanks. Second: Focus on a vision and not the provision. You must be pro vision. Start with the end in mind and pursue it with a passion. Third: Invest only in assets the multiply. Please go find my first episode for more information about these first 3 pillars. Now, the fourth pillar is to create your own bank where you have control and access to your safe money that you can use as collateral. This goes hand in hand with Pillar 3, invest in multiplication. Banks are in the business to make money. One of the ways they make money is to create an arbitrage between the money on deposit and the money loaned out. Walk in to any bank, on one wall they have a sign stating CD’s at say 1%. On the other wall they have a sign reading Home equity loans at 4%. For those that failed math, that’s a 3% profit, or arbitrage. If you are at the mercy of the banks then you will be the slave and not the master. Create your own bank where you have safe assets that multiply, and where you have control and access. Walt Disney applied this principle and used his bank to start his business. Talk about generational wealth. The fifth pillar is to anticipate economic cycles. Strategies that have worked in the past may not work in the future, and must be adjusted to accommodate a shift into the next phase of the economic cycle. This can be employment trends, career moves, business trends, housing markets, or larger economic swings, such as deflationary or inflationary environments. I hope you’ve enjoyed my six pillars for generating not only wealth for yourself, but generational wealth. My next two episodes with follow two families and will help you apply and see the benefits of using the six pillars of generational wealth creation. In the meantime, I’d love to talk to you more, so give us a call or hook up with me on LinkedIn. Copyright © 2015 - All Right Reserved. James Fisher is an Investment Advisor Representative, offering securities through Marathon Financial Group LLC, Member FINRA, SIPC, MSRB; 9841 Broken Land Parkway, Suite 206, Columbia, MD 21046; 443-718-6310.